You have a few options left open to you if you face foreclosure on your house. As desperate times call for desperate measure, consider filing for bankruptcy under Chapter 7. This drastic solution will severely affect your credit score, but today it remains one of the only ways to get out from under said situation. You can prepare for and file a Chapter 7 bankruptcy petition to stop a foreclosure by following these guidelines. Gather all the documents related to your house loan and make copies of them. You will need your original mortgage agreements as well as any amendments made over the years. 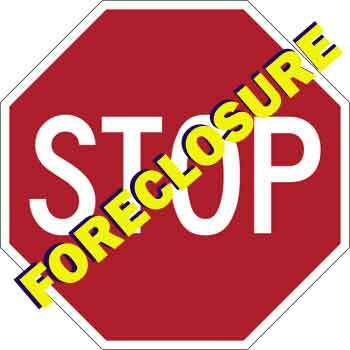 Also include copies of all legal documents from your foreclosure case, including the petition filed against you. Attach all these documents to you bankruptcy petition, as they will serve to support your bankruptcy file. You will need copies of your most recent federal income tax return as well as your current pay sub to include in your Chapter 7 bankruptcy file. Include bank statements and information about all your financial accounts. Include documents that cover all your debts. When you file for bankruptcy under Chapter 7, the court will take into account all your debts—up to and including your house loan. Make a list of all of your debts and submit all necessary documents to the court. Take note that the court might consider anything you omit a lie and then dismiss your bankruptcy filing as well as result in your facing a fine and/or jail time. You can handle your file yourself or get a bankruptcy attorney to help. Fill out a bankruptcy petition, which you can find online, in office supply stores or at the clerk’s office. File the petition and all documents related to the bankruptcy court in your district. Make several copies of your petition as well as all the documents. If you cannot afford to pay the filing fee all at once, you might have the option of paying in installments. Once you get the order from the court, immediately notify the mortgage lender that you now fall under the bankrupt classification. The court will also notify the lender, but you should still work to stop the foreclosure procedure as soon as possible. You will have to attend a trustee’s meeting. The mortgage lender, as well as other creditors, can appear and challenge your file at that point. Discuss with your mortgage lender the possibility of a Reaffirmation Agreement that allows you to keep your house during bankruptcy and start making mortgage payments in the future as set forth in the agreement. If you don’t enter such an agreement, you will get out of foreclosure but will need to continue making the payments. If you are yet again unable to make the payments and ultimately face foreclosure again, you will not have the bankruptcy option available to save you in a time of trouble.